Manhattan's district attorney dropped part of the criminal sexual assault case against Harvey Weinstein on Thursday after evidence emerged that a police detective had coached a witness to stay silent about evidence that cast doubt on the account one of his three accusers. Prosecutors said the police detective didn't share any of that information with prosecutors and urged the woman not to reveal details, saying "less is more," and that she had no obligation to cooperate with investigators. Weinstein's lawyer, Benjamin Brafman, told the judge he believed Evans had lied both to the grand jury and to The New Yorker about her encounter with Weinstein. Brafman identified the detective in the case as Nicholas DiGaudio. A message left on a phone used by the detective in the past wasn't immediately returned. The union represented New York City police detectives also didn't immediately return a message. 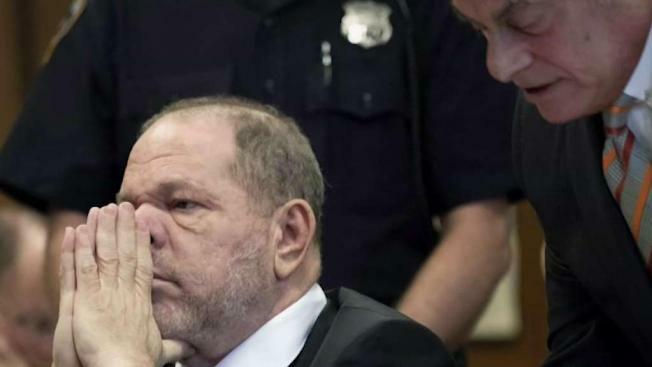 Weinstein has pleaded not guilty to all charges and is free on $1 million bail.